Learning in the School of HARD KNOCKS - The Rough Notes Company Inc. 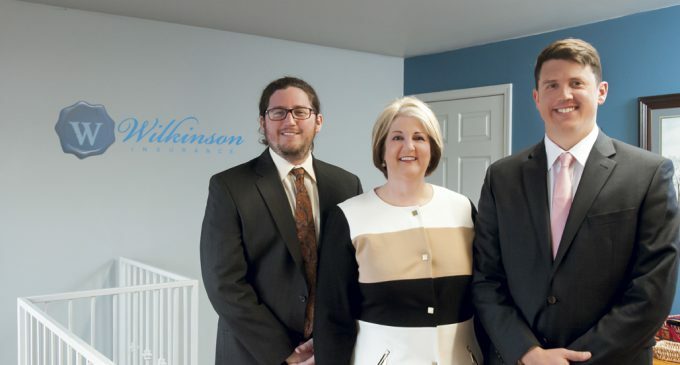 The Wilkinson Insurance Agency in White House, Tennessee, was founded 60 years ago by J.M. Wilkinson as a sideline, to supplement his banking salary. Manley, as he was called, was manager of Farmers Bank and had studied banking. But he saw that having the ability to offer insurance to his banking customers was a win-win that provided clients with needed coverage and him with a little extra folding money. He asked his son and daughter-in-law, Joe and Sue Wilkinson, who had a hardware store located across the street from the bank, to be partners in the insurance agency. And so it was that the Wilkinson Agency had three part-time people running it. Manley was busy at the bank. Joe was busy at the hardware store, as well as working as an electrician and U.S. postal rural mail carrier. So Sue took on most of the insurance work. At the time, Joe and Sue also owned several rental properties; at one point, they owned 30 pieces of real estate and were responsible for maintaining those properties. It’s an understatement to say they were extremely busy people. When Manley suffered a heart attack and died in 1965, Joe and Sue bought his shares from Joe’s mom, and Sue continued to serve as the main principal. Meanwhile, Joe and Sue had a daughter, June. “I had no intention of going into insurance,” June recalls. “I went to college and majored in marketing and public relations, and graduated in 1976 with a bachelor’s degree.” In the late fall of that year, June took a job in retail management in the ladies’ department at K-Mart. “I hated that job,” she says. “Well, I was living at home with my parents, but I still had car payments to make, so I called Mom from K-Mart and told her I was going to quit and offered to help at the agency,” June adds. “Mom was extremely happy and she welcomed me on board. My first day on the job was April Fool’s Day in 1977. My parents were building a new house, and Mom was serving as the general contractor. That was keeping her plenty busy, so she was delighted to have help at the agency.” At that point, Sue had been the principal of the agency for most of June’s life and, as June later found out, didn’t really like the business all that much. “Mom knew that as long as she was at the agency, people would look to her for guidance,” June continues. “So she left and put me in charge. In what turned out to be my six-month ‘training’ period, I had done nearly everything at the agency, from opening the mail to rating policies.” During that time, June also studied for and passed the state license exam. A get-things-done attitude was nothing new to June. “When I was 12, I needed braces, and Mom and Dad were busy at the hardware store,” June recalls. “They rarely took a vacation. In fact, there was a seven-year period when they never took time off. So on a Saturday, I found out how to get to Nashville, hopped on the Greyhound bus, and went to get my braces.” She did that again for follow-up exams. 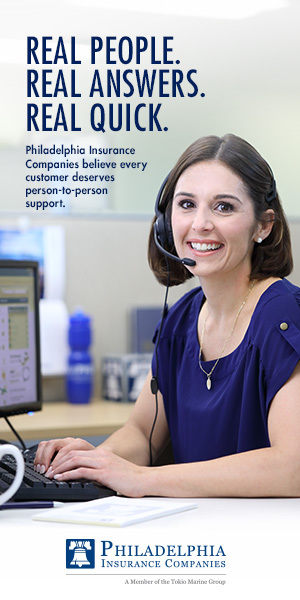 Now, 40 years later, Taylor has a successful independent insurance agency that has served its community and is sought after by insurance companies. “They are coming to us, asking us to represent them,” June explains. 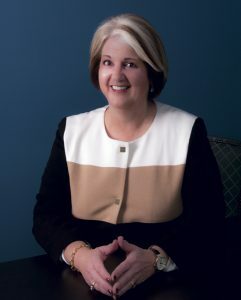 She also has opened up a new niche at the agency—the high net worth market—and is working toward earning her Certified Personal Risk Manager (CPRM) designation. (I guess opening up a new niche and studying for a new designation is June’s way of slowing down; we each have our own definition of that term.) June already has earned the Certified Insurance Counselor (CIC) and Certified Professional Insurance Agent (CPIA) professional designations, and has served as president of the American Insurance Marketing & Sales (AIMS) Society, which confers the CPIA designation. Ben spends time with White House Heritage High School students during a basketball game to raise awareness of the risks involved with distracted driving for teen drivers. 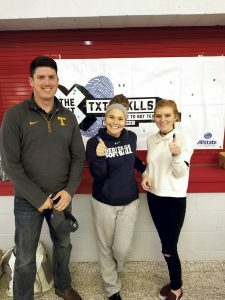 The agency has partnered with Allstate to bring the “X the TXT” and “Be In The Zone (BITZ)” programs to the local high schools. Students take a responsible driving pledge and seal their promise with a thumbprint. Other agency specialties include contracting—not a big surprise, since June’s mother worked as her own general contractor—and farming. When the agency was founded, White House was a farming community of around 3,000 residents, but since then has grown to become, for all intents and purposes, a bedroom community for Nashville that some 14,000 people call home. “When I joined the agency, we were primarily a personal lines agency,” June says. 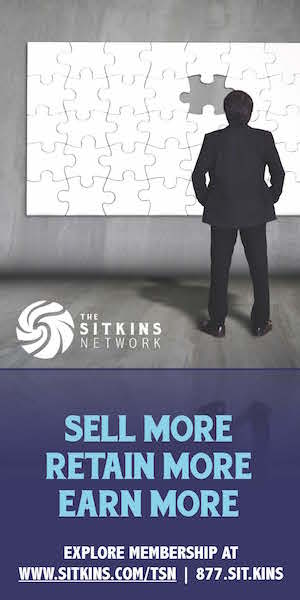 “But I recognized that we were missing an important market, even if we just concentrated on cross- selling our current clients, many of whom were business owners. So I jumped in with both feet and learned commercial lines, and found out which companies wanted the small commercial accounts that we were developing. Today, the agency writes some $4.5 million in premiums and, in addition to the Taylor family members, has a full-time commercial lines producer and a full-time personal lines producer. “We also have a benefits producer with 30 years of experience,” June notes. One other employee provides front office support. And, of course, the agency uses technology that lets it be both lean and productive. Early on, June saw the possibilities for automation. “When I started, we were rating manually,” she says. “That’s something that, it seemed to me, machines could do better and quicker. And they wouldn’t get bored doing it. That would let me spend more time selling. So we automated as quickly and sometimes unproductively as we could. She adds, “I truly believe in networking and sharing with other agents. I want to do what I can to make the independent agency system even more successful. I have been blessed with great friends in this business who have contributed to my success and, even more important, have reveled in it. They are happy for my success. In how many other businesses can you have that? “Our initial move into commercial lines was facilitated by networking with PIA members who introduced us to the right companies,” June notes. “We learned through the people in the AIMS Society how to do better niche marketing and improve our sales and marketing in general. “And coming back home to White House,” June concludes, “we have tried to bring the benefits of those partnerships to our local community, as well as being involved ourselves. For instance, Auto Owners has provided charging stations at the local library with our ad featured.” The agency also sponsors Allstate’s “X-the-TXT” and “Be in the Zone” (BITZ) pledge campaign against distracted driving with teens and their parents at local high school athletic events. Rough Notes is proud to recognize Wilkinson Insurance Agency as our Agency of the Month. Yet again, we are astounded by the selflessness that permeates this business and makes the independent agency system both the most successful, and the most sharing, marketing system in the insurance business.